During last year we were keeping you up to date in regards to Andreas Larsson‎ and team's work in progress Eye of the Beholder port that is coming to the C64, which looks as if it was released all those years ago along side the Amiga. 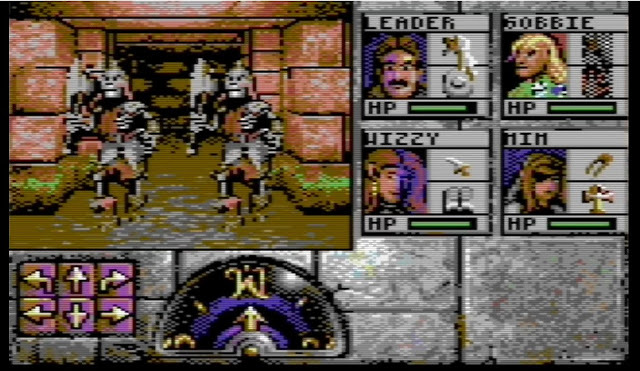 Well it's a new year and a new update has been posted, as thanks to Andreas Larsson from our Dungeon Crawlers : RetroGaming Facebook group, he has showed us the very first snippet of the Intro which is likely to be in the C64 version due hopefully this year! Turn your volume WAY up! Featuring high quality graphics and a stonking sound track just like the original game, Eye of the Beholder C64 looks it could be one of the most amazing releases ever seen on the C64. It's just a shame that the video shown isn't of the best quality and the sound has been turned way down not to wake his family. But atleast on a positive note the developer has said it's running silky smooth on REAL hardware.